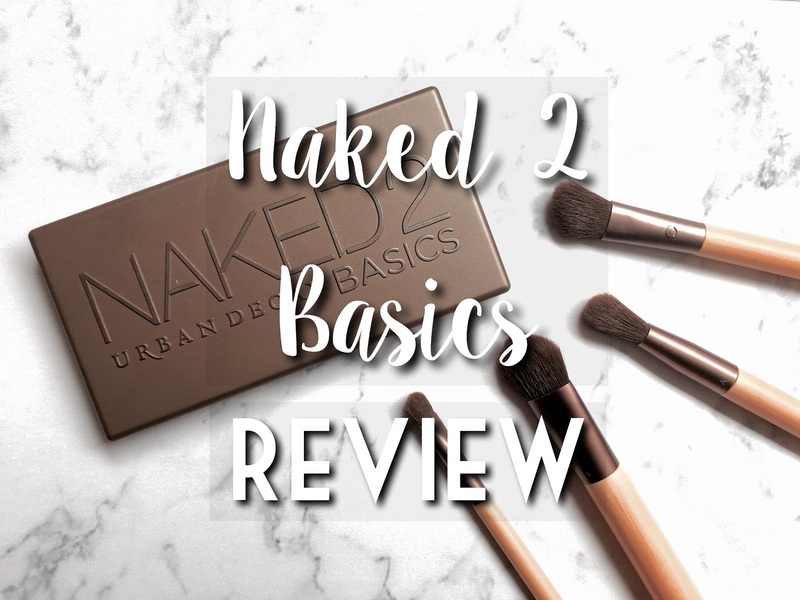 Today I've decided to review my favourite travel-friendly palette, the Naked 2 Basics palette by Urban Decay. 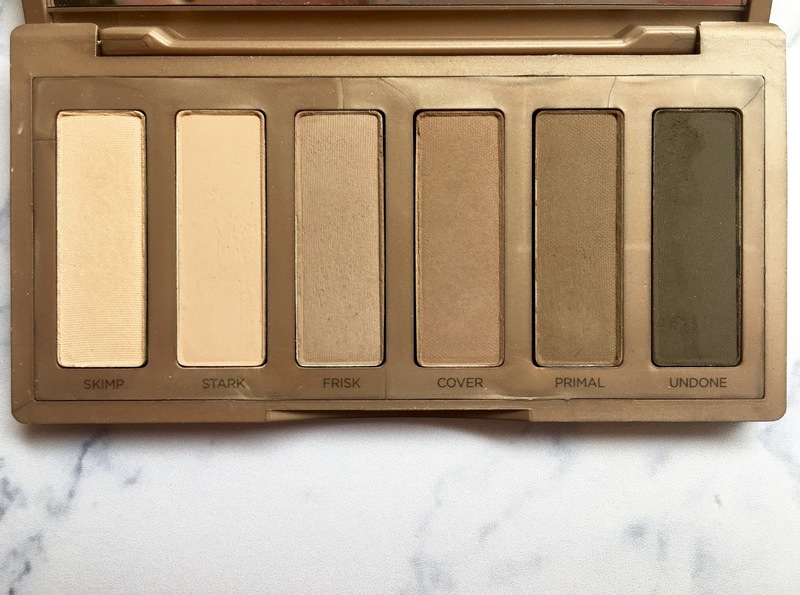 I have been using this palette for a couple of months now and I love it, so I decided to share my thoughts about one of the mini-sized versions of the much-raved about Naked palettes for you all. The palette contains 6 shades exclusive to the Naked 2 basics palette. First of all we have 'Skimp', the shade described as the highlighting demi-matte shade. The other five shades - Stark, Frisk, Cover, Primal and Undone - are matte shades, which I love because I don't have loads of matte eyeshadows and they are really easy to use. All the shades are neutral tones meaning I get use out of every single one. Usually when I use this palette I like to use the shade 'Stark' all over the eye, 'Frisk', in the lid, 'Cover' in my crease and then 'primal' in the outer corner. The shade 'Undone' is a bit dark for my everyday use, but it is a great shade for smoky looks. 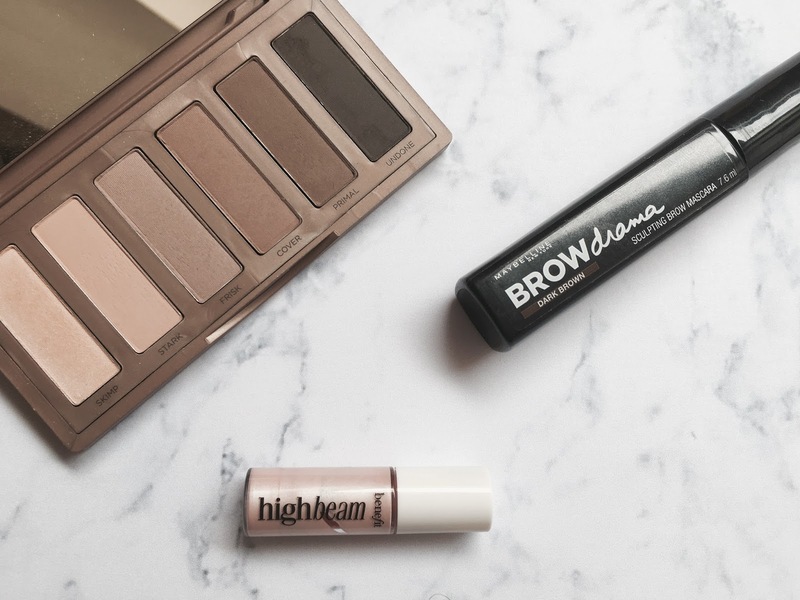 I don't tend to use the highlighting shade 'Skimp' that often because I prefer a Benefit eyeshadow in the shade 'Milk It' for highlighting. I also like to sometimes pair the shadows in the Naked 2 Basics with some shimmery shades in the Maybelline Blushed Nudes Palette. The palette costs £23.50, which for 6 shades is quite expensive - but what would you expect from a highend palette?! Fortunately when I purchased it I had some Debenhams vouchers so I got £10 off, but I still think the palette is worth the price because the pigmentation is amazing. This palette is my most used!! I've finished Cover as it was the perfect eyebrow shade, Skimp is the perfect highlight and primal is a great for a smokey eye! !